In the United States’ most culturally aligned nation, a race toward the once-unthinkable accelerates.It never made any sense. The assurance that active euthanasia would always be limited to terminally ill, competent adults just never made any sense. Here’s the problem: Once a society widely supports eliminating suffering by eliminating the sufferer and redefines as a “medical treatment” the act whereby doctors kill seriously ill patients, there is no logical argument for limiting euthanasia to adults with legal decision-making capacity. After all, children suffer too, so how can they be logically refused “medical aid in dying” — or MAID, the current euphemism for euthanasia and assisted suicide — only because of their age? The short answer, of course, is that they can’t and they won’t be, once a society generally embraces euthanasia consciousness, as is demonstrated by the three countries where lethal-jab euthanasia has been legalized and now has popular support. Belgium legalized euthanasia in 2002 for anyone age twelve and older. 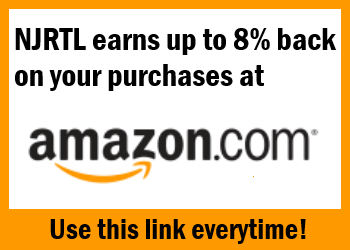 In 2014, it eliminated all age restrictions. A recent report published by Belgian authorities reveals that three children were euthanized legally in 2016–17 — the youngest at age nine — with the two others at ages eleven and 17, respectively. Their maladies? Cystic fibrosis, muscular dystrophy, and a brain tumor. Euthanasia has popular support in the Netherlands as well. There children down to age twelve are permitted to be euthanized, with parental permission required until age 17. Infanticide is also practiced openly by Dutch doctors, even though it is technically illegal. Indeed, the “Groningen Protocol,” a bureaucratic checklist published by Dutch pediatricians, describes which terminally ill and seriously disabled babies can be put down. When these horrors are brought up in euthanasia debates in the United States, assisted-suicide advocates wave off the concern as mere slippery-slope advocacy and sniff that whatever policies Belgium and Netherlands have adopted, those countries are very different culturally from the United States. Now that blithe assurance is poised to become inoperable, as Canada appears on the verge of allowing children to be euthanized. The Canadian Supreme Court in 2015 created a right to be euthanized, followed by enabling legislation in the national and provincial parliaments. The law basically guarantees the availability of euthanasia to adults experiencing intractable suffering — as defined by the patient — in circumstances where death is reasonably foreseeable. Serious discussions are now underway to expand that license to children. That development is especially alarming for the United States, given that Canada is our closest cultural cousin. The Canadian medical establishment has clearly signaled its acquiescence. Earlier this year, the Canadian Paediatric Society issued a position paper entitled “Medical Assistance in Dying: A Paediatric Perspective.” The paper is entirely uncritical of expanding the euthanasia law to include minors. More than that, the statement makes recommendations about how to implement pediatric euthanasia once the law permits. In refusing to oppose legalization or, indeed, to make even onesubstantive argument against its moral propriety, the society implicitly endorses a policy that would allow sick and disabled children to be killed. Member pediatricians were polled about the question. Only one-third of respondents opposed expanding Canada’s euthanasia law to children in all circumstances. Almost half (46 percent) were in favor of extending the MAID option to “mature minors experiencing progressive illness or intractable pain.” (According to the report, “the mature minor doctrine recognizes that a patient’s comprehension of the nature and consequences of a treatment has determinants beyond age, and that children’s wishes should be granted degrees of deference that reflect their evolving maturity.”) There’s more: Twenty-nine percent of answering respondents believe in making euthanasia available to mature minors experiencing “intolerable disability,” while 8 percent would even extend the killing to mature minors with “intolerable mental illness as the sole indication”! Some parents are already open to having their sick children killed. A startling 40 percent of those responding to questionnaires reported having already held “exploratory discussions” with parents about killing their seriously ill mature children — and that’s while child euthanasia remains illegal in Canada. In contrast to the society’s supportive neutrality (let’s call it) to child euthanasia, in “Medically Assisted Dying in a Paediatric Hospital,” an article in the Journal of Medical Ethics, doctors and bioethicists associated with a children’s hospital in Toronto are positively enthusiastic about expanding the law. Indeed, the authors report, some doctors at the Hospital for Sick Children have already volunteered to euthanize children once that lethal act becomes legal. The authors assume that pediatric euthanasia will be soon legalized in Canada, at least for mature minors — a good bet, as the government has planned legalization as a two-step process, starting with competent adults and then potentially expanding to the legally incompetent. Accordingly, the paper describes the bureaucratic process the hospital plans to implement once minors can be given lethal jabs. If . 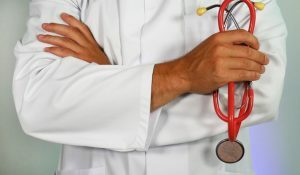 . . a capable [legally underage] patient explicitly indicates that they do not want their family members involved in their decision-making, although healthcare providers may encourage the patient to reconsider and involve their family, ultimately the wishes of capable patients with respect to confidentiality must be respected. If we regard MAID as practically and ethically equivalent to other medical decisions that result in the end of life, then confidentiality regarding MAID should be managed in this same way. The paper was not as explicit about doctors euthanizing children who do not have the perceived mental capacity to decide for themselves. But the paper does state that lethal jabs should be considered “practically and ethically equivalent to other medical practices that result in the end of life.” That means parents would be able to request pediatric euthanasia in the same way they can now order the removal of life support in an ICU. The members of the working group are also intent on doing what they can to normalize pediatric euthanasia as a standard part of medical practice, stating, “We will . . . as an institution, publicly discuss the provision of MAID in an effort to normalise this procedure and reduce social stigma for everyone involved.” Good grief. Sometimes “social stigma” serves a positive social purpose by preventing immoral acts regardless of legality. Here’s the bottom line: Countries such as the Netherlands, Belgium, and now our most culturally aligned nation, Canada, demonstrate that once a society popularly accepts euthanasia, there are no brakes to prevent the steady expansion of the killing license, to include eventually even children and babies — acts that, until very recently, were universally condemned in the civilized world. Those with eyes to see, let them see. Assemblyman John Burzichelli (D-3) reintroduced the Physician Assisted Suicide Bill (2451) in February of 2016. The text of the new bill, A2451, is now available on-line, is the identical to the previous version. We expect the Senate version to be introduced shortly. 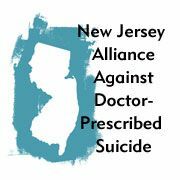 More information on efforts to legalize physician assisted suicide in NJ can be found on our webpages. If your Two State Assembly Members voted No previously, please contact them and thank them for their No vote. 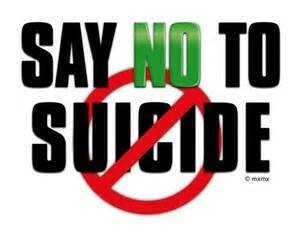 Urge them to vote No again on A2451/S2474 if it comes up for a vote. If your Two State Assembly Members Voted Yes, please contact them and tell them you are disappointed in their vote and that you expect them to vote No on A2451/S2474 if it comes up again. If one or two of your State Assembly members are newly elected, schedule a meeting to speak with them and educate them about the dangers of Bill A2451/S2474. On July 7, 2015, members of the California Assembly Health Committee pulled the bill after lack of support due to serious concerns about the bill. 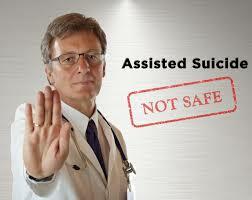 Physician Assisted suicide legislation has been introduced in 24 states, To date, none of these bills have passed. A NJ bill (A2270/S382) passed the full Assembly in November of 2014 and was released from the Senate Health Committee on December 15, 2014 without recommendation. It is still pending a full vote in the NJ Senate.Since January, 2015, physician assisted suicide legislation was defeated in Connecticut, Maryland, Delaware, Colorado, Wyoming, Maine Utah, Rhode Island and Nevada. Please continue to call, email and meet with your State Senator to urge him/her to Vote No on A2270/S382. Please also call the Governor 609 292 6000 and urge him to veto this bill if it reaches his desk. Thank you. California’s controversial assisted death bill is done for the year, according to the Assembly Health Committee. Senate Bill 128 would have allowed doctors to prescribe lethal drugs to terminally ill patients. It passed the Senate last month, but stalled in the Assembly Health Committee two weeks ago over increasing objections from Latino Democrats. Past attempts to legalize assisted death in California also collapsed, but SB 128’s champions believed that public sentiment had turned in their favor. They also surmounted a major political obstacle when the California Medical Association silenced its longstanding aversion to helping ailing patients die. But the Catholic Church remained firmly opposed to the bill, arguing that it was an ethical violation. Proponents were not able to sway a majority of members on the Assembly Health Committee, some of whom pointed to personal experiences that counseled them against backing the bill. Some members denied that religious objections were a decisive factor. “There are times when I can be in clear policy opposition to the church – clearly with a pro-choice stand as a Democrat, I can say ‘no’ to the church,” Assemblyman Miguel Santiago, D-Los Angeles, a practicing Catholic who once weighed entering the seminary, said on Monday. “It’s more of an internal struggle of how to look at the end of life more than any impact of religious or political” pressure. Alexei Koseff: 916-321-5236, @akoseff. Jeremy B. White of The Bee Capitol Bureau contributed to this report. Despite passage by the House, Senate support falls one vote short. AUGUSTA – Maine lawmakers have defeated a bill that would have allowed doctors to provide lethal doses of medication to terminally ill patients. Republican Sen. Roger Katz’s bill died Tuesday because the Senate and House failed to agree on the bill. Katz and other supporters said that people who don’t have much time left to live should be free to end their life when they are ready. But opponents said lawmakers should focus on expanding access to palliative care. They said they feared it would send the message that the state of Maine condones suicide. HARTFORD — For the third time in three years, aid-in-dying legislation has stalled at the state Capitol. Advocates on both sides of the emotional issue say the legislature’s Judiciary Committee has opted not to vote on House Bill 7015, which would have permitted terminally ill patients to request a doctor’s help to end their lives. The measure is unlikely to move forward without the committee’s endorsement. “Each year that lawmakers fail to act prolongs the suffering for thousands of terminally ill Connecticut residents and the people who love them,” said Tim Appleton, Connecticut campaign director for Compassion & Choices, a national group promoting aid-in-dying legislation in statehouses around the nation. Supporters said the proposal would have allowed mentally competent patients with fewer than six months to live the chance for a dignified death, free of pain. “About 7,000 people will die from cancer this year in Connecticut without having this choice. Many will endure painful deaths. They should have the choice — to die peacefully, with dignity, and on their terms,” Appleton said in a statement released Wednesday afternoon. Critics denounced the concept as “assisted suicide” and said it devalues life and leaves people with disabilities vulnerable to coercion. Led by the Catholic bishops, a broad coalition that includes disability rights activists, hospice providers and the Connecticut State Medical Society joined together to stop the bill. The church funded a multimedia ad campaign aimed at swaying public opinion against the proposal. Michael C. Culhane, executive director of the Connecticut Catholic Public Affairs Conference, said he was “thrilled” but not surprised by the committee’s decision to forgo a vote on the bill. Opponents have been counting votes since the bill was drafted in February and knew support was weak, he said. Culhane said the measure’s failure to move forward was due to a large and diverse coalition that worked together to persuade legislators that the bill was bad public policy. “It was a collective effort that produced the results that were announced today,” he said. Appleton had strong words for the Catholic Church. “The Church lobby has a history of driving fear of change, and they are spending an incredible amount of funds trying to do just that in Connecticut,” he said. The bill was the subject of a long and often emotional public hearing last month, drawing hundreds of people who shared raw, often personal stories of a loved one’s demise or their own struggle with a terminal illness. In the three times the legislature has considered such a bill since 2013, the bills never received a committee vote, one of the first steps in the legislative process. In theory, the concept could be raised on the floor of the House or the Senate as an amendment, but most observers consider that unlikely. Appleton and other supporters remain confident the concept eventually will win approval in Connecticut. They point to a Quinnipiac University poll conducted last month that found nearly 2-to-1 support for aid-in-dying. Three states — Oregon, Washington and Vermont — have laws allowing doctors to prescribe lethal medications to terminally ill patients. Courts in both New Mexico and Montana have found aid in dying legal, and a lawsuit seeking a similar ruling was recently filed in New York. 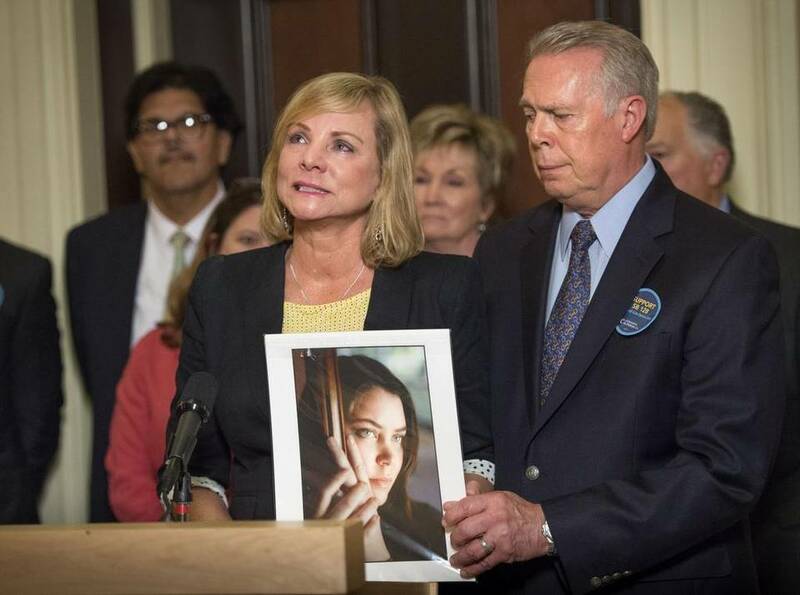 Meanwhile, an aid-in-dying bill is moving through the California legislature, fueled in part by the death of brain cancer patient Brittany Maynard, who moved from California to Oregon because she sought a physician’s help in ending her life. California’s End of Life Option Act cleared the Senate judiciary committee earlier this week. But other states have rejected the concept. Voters in Massachusetts defeated a 2012 ballot initiative that would have legalized aid-in-dying. Culhane said he expects proponents to continue trying to win approval in Connecticut.